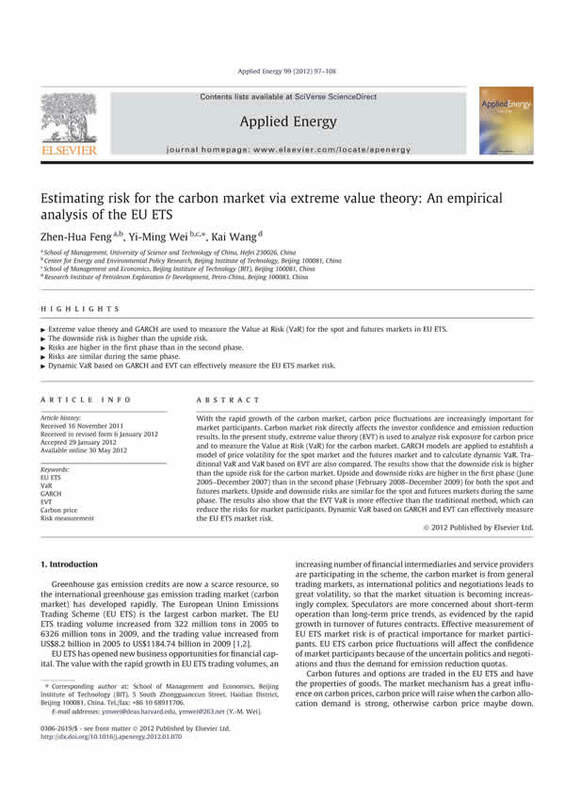 Estimating risk for the carbon market via extreme value theory: An empirical analysis of the EU ETS. Z.H. Feng, Y.-M. Wei, K. Wang. 2012.